Figure 5. Estimated depth of red mud as a function of RMLI. Figure 6. Integrated LIDAR and HSI data over ruptured containment dam. 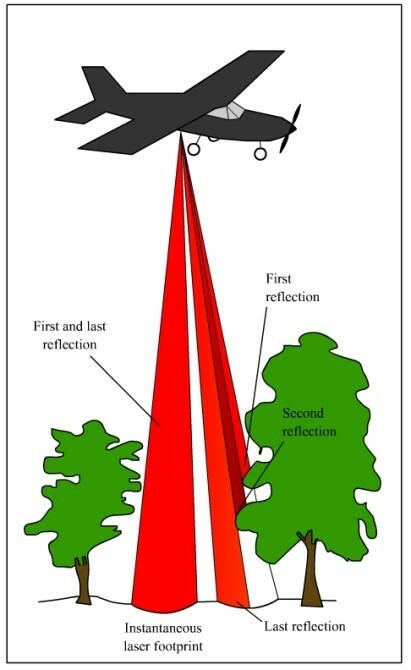 To measure and investigate a complex disaster event airborne laser scanning (LIDAR), aerial hyperspectral imagery and thermal and near infrared imagery have been used. In this case study only the two main technologies and survey methods are introduced due to page limit. 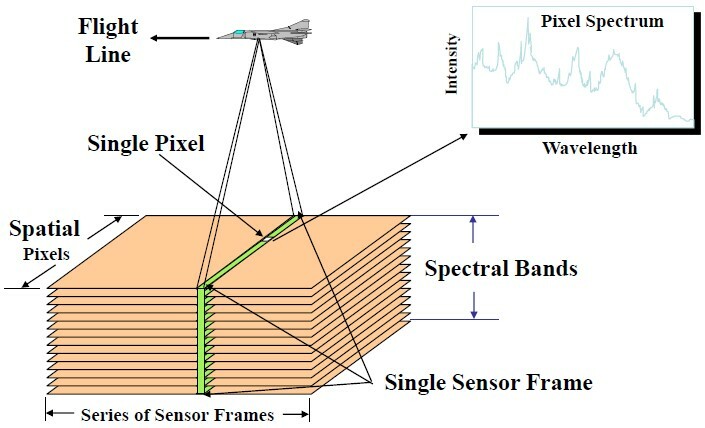 Until recently hyperspectral applications stayed within the limits of research, nevertheless nowadays more and more practical uses of aerial hyperspectral imagery appear in the field of botany, agriculture, environmental protection, military, disaster management and other fields requiring detailed environmental data. The discussed disaster event happened in the Devecser Subregion, Northwestern Hungary. The most affected settlements were Devecser and Kolontár. To understand the characteristics of the disaster it is important to introduce the main geographical factor, the water resource specificities of the area. The affected area has very dense surface and ground water resources and it is located in the catchment of the Torna-stream in which is a part of the River Marcal catchment. Upstream from the River Marcal, Torna-stream collects smaller surface streams through a 50.8 km long valley. The whole catchment area is 498 km2. The River Marcal with many tributaries discharges into the River Rába which then discharges into the River Mosoni-Danube and eventually to the River Danube. In addition, the pollution occurred in a sensitive area with vulnerable ground water resources (Terport). 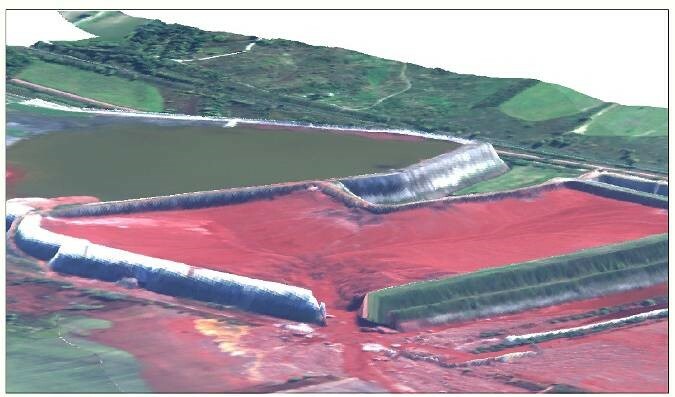 On October 4, 2010 the embankment of the red mud reservoir failed and released a mixture of 600-700 thousand cubic meters of red mud and water. The mud, a byproduct of refining aluminium from bauxite ore, was dangerously alkaline, extremely salty and contained potentially toxic metals like chromium and vanadium. Lower parts of the settlements of Kolontár, Devecser and Somlóvásárhely villages were flooded. Ten people died, and another 120 people were injured. The red mud flooded 800 hectares of surrounding areas. The most severe devastation was caused in the villages of Devecser and Kolontár, which are located near the reservoir. The disaster belongs to the worst environmental catastrophes in Hungarian history which risked the whole area’s water resources, water courses, rivers, population and wildlife. The primary mission objective of the data collection was monitoring needed to estimate environmental damage, the precise size of the polluted area, the rating of substance concentration in the mud, and the overall condition of the flooded district. 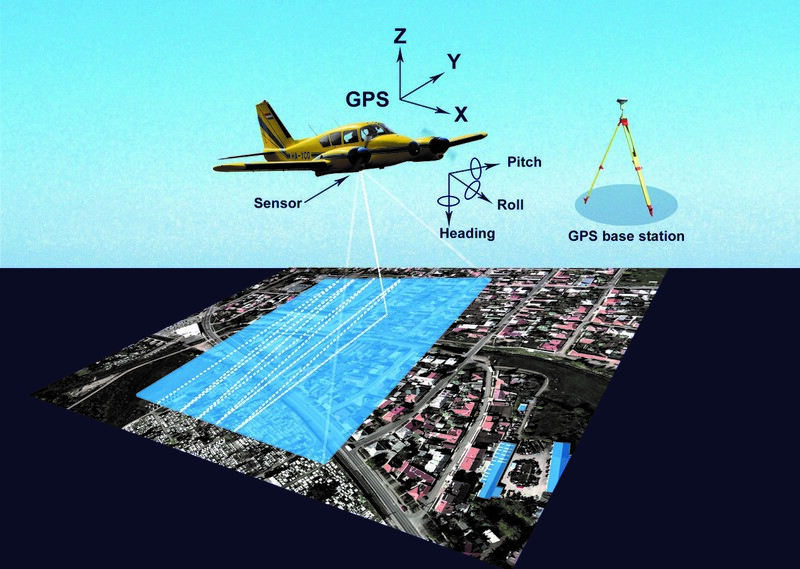 The secondary objective was aimed to provide geodetic data necessary for the high-resolution visual information from the data obtained with a LIDAR survey, and for coherent modelling of the event. For quick assessment and remediation purposes, it was deemed important to estimate the thickness of the red mud, particularly the areas where the depths of the layer were more than 3cm. Data collection used five different remote sensing systems and intended to streamline and combine the processing of different technologies and collected data for both short-term and long-term purposes. 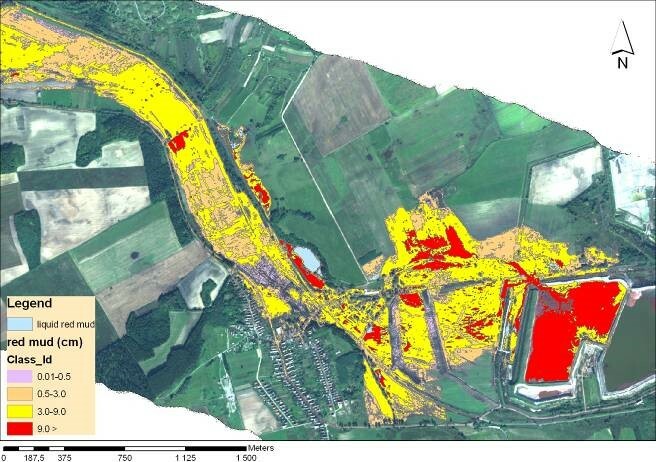 The approximate size of the affected area was estimated at about 1,000 hectares on the basis of information derived from the high-resolution satellite data and airborne imagery. Quantitative and qualitative information were derived from radiometric and geometric corrected hyperspectral images. Red Mud Layer Indices (RMLI) were calculated from hyperspectral bands (549nm, 682nm) (Burai et al. 2011) to describe depth of red mud layer in the affected area (Figure 5). The indices are essentially a modification of a Hydrocarbon Index (Hörig et al. 2001) and NDVI index, both of which are applicable in dealing with distinctive absorption patters in the visible-near infrared range. In this project, the LIDAR data were primarily used to create a high resolution, 3-D topographic model of the ruptured containment pond wall and examine it for the possibility of continued rupture along the western and northern walls. The LIDAR data were gridded to produce a high-concentration point-cloud density that was then draped over with high resolution imagery from the Hyperspectral imagery. The combined analysis had shown propagation of collapsed features (compromised structure) along the western retention wall and the areas have been subsequently stabilized (Figure 6) (Lenart et al. 2011). Quantitative direction of spilled red mud. In this case study, the presented measurement methods and technologies could successfully be adapted to survey and investigate other similar disaster events, and to support disaster management-related decision making methods. The applied aerial and ground based technologies and devices are not site-, territory- or country-specific thus these can be adapted to almost any location or industrial area. In addition, the know-how for the data processing and classifying exists and is continuously improving. These applied technologies and their results achieved the expected goals of the project, thus disaster management professionals could use the resulting data sets, maps and models in disaster- and remediation-related decision making methods and practice alike. Disadvantages of the applied technologies: sudden, high resource demand and very specific expertise required. 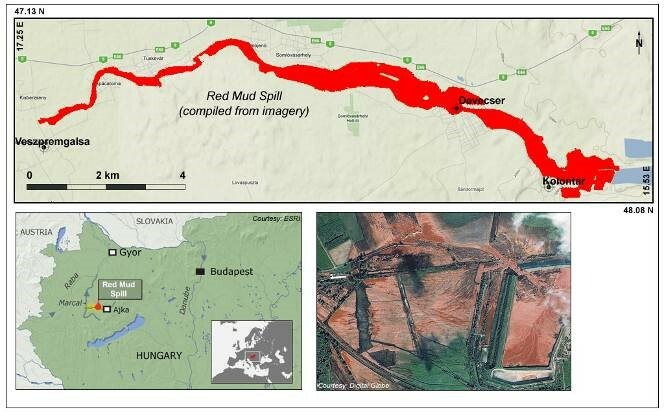 Burai, P., Smailbegovic, A., Lénárt, Cs., Berke, J., Tomor, T., Bíró, T., (2011): Preliminary analysis of red mud spill based on aerial imagery. Acta Geographica Debrecina, Landscape & Environment Series, Volume 5, I: 1-12. "Terport" is a free and publicly open internet service of the National Information System for Rural Development and Spatial Planning (TeIR) operated by Lechner Knowledge Centre nonprofit Ltd. In "Terport" analyses, strategies and development documents (regarding regional development, spatial planning and rural development) can be accessed for all levels (European, national, regional, county, sub-regional and local). This case used the "Urban Development Strategy of Devecser" that is accessible in Terport, but only in Hungarian language.